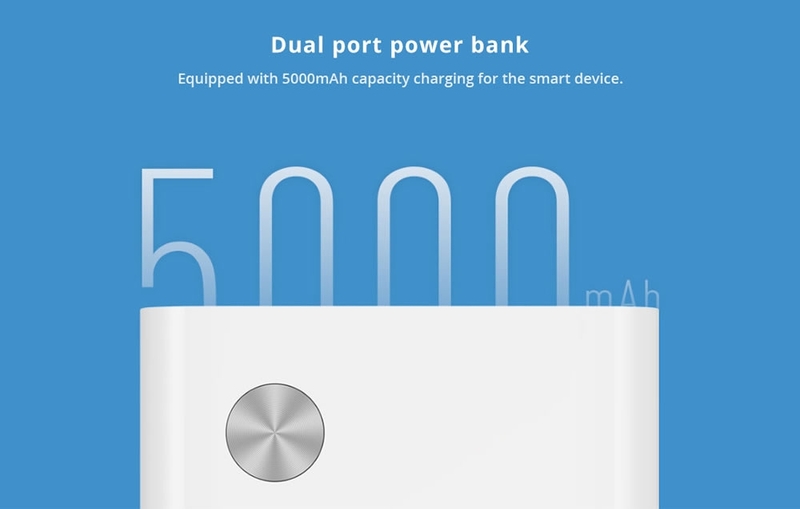 Equipped with 5000mAh capacity charging for the smart device. 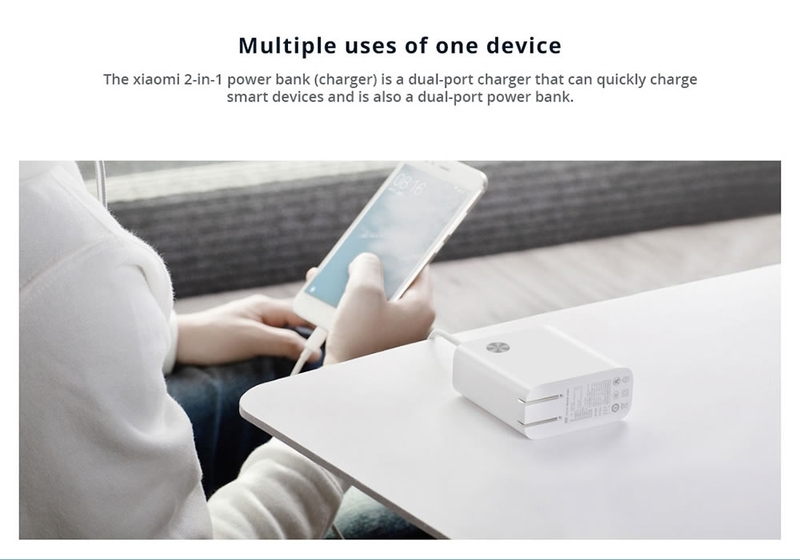 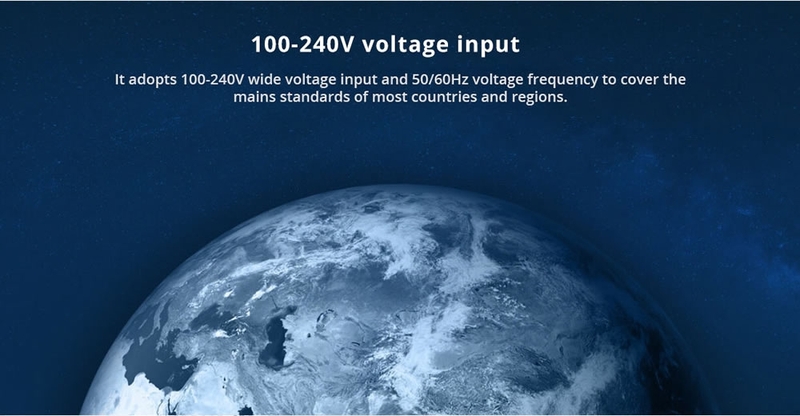 It can also as a charger for the smart device, support multi-charging standard, include iOS device. 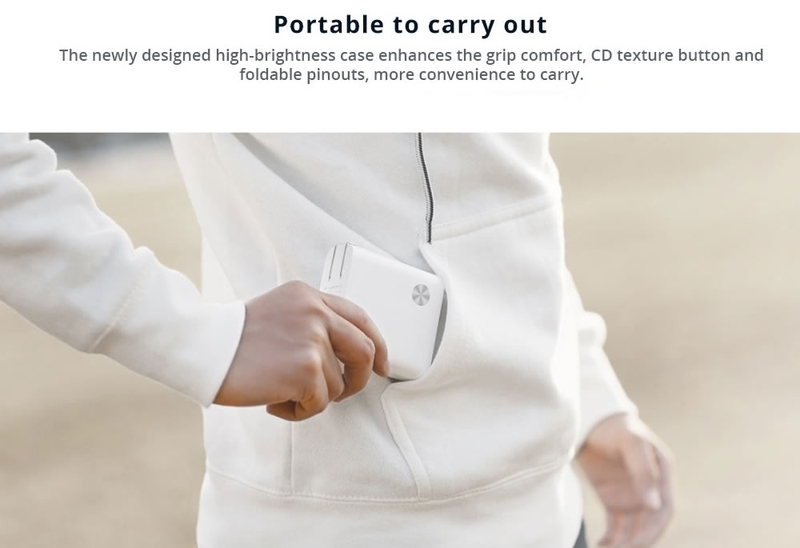 The newly designed high-brightness case enhances the grip comfort, CD texture buttons and foldable pinouts, more convenience to carry. 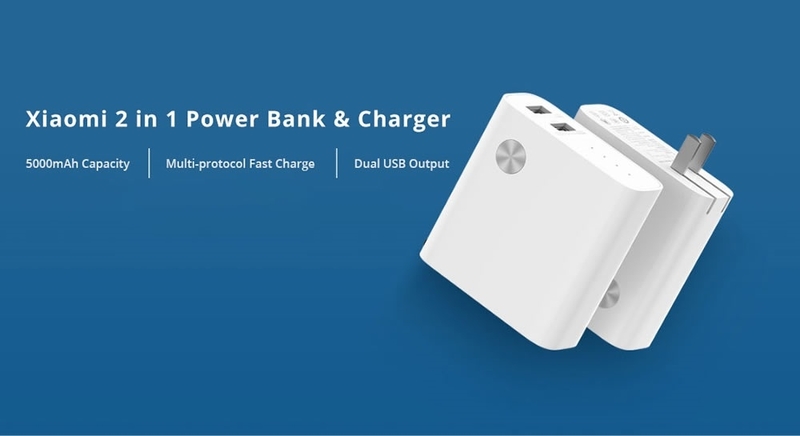 When used as a power bank, double-click the power detection button on the side to enter the microcurrent mode, which can charge small-current electrical equipment such as wristbands and Bluetooth headsets.